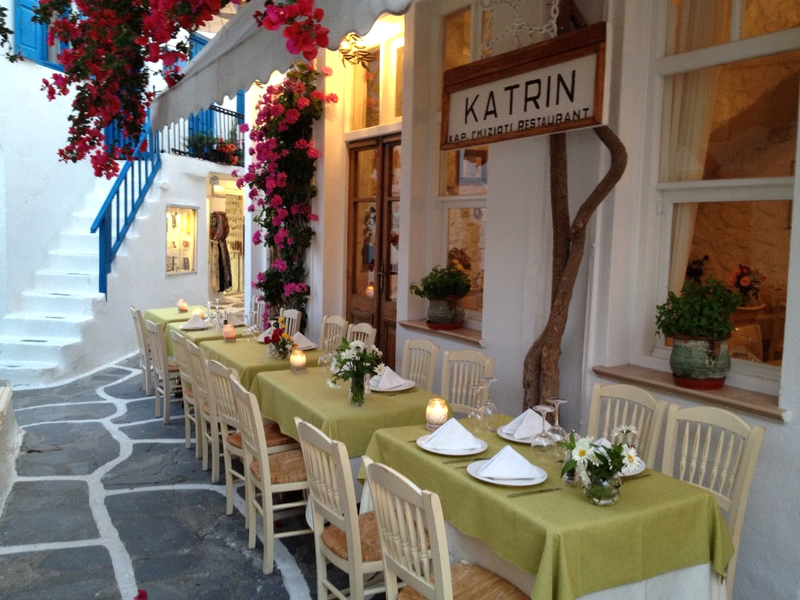 Located in Mykonos heart in a small alley with excellent service and homely atmosphere. Fresh fish and variety of Greek cuisine. Dessert is a selection of homemade cakes and tortes including warm apple tart and walnut crumble.